This easy to use template will help you create professional and stylish purses in three different sizes and shapes. Choose your purse design, draw through the template onto your fabric, cut out and sew! 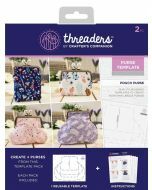 The Threaders Purse templates allow you to use your own creative flair to design beautifully unique purses. 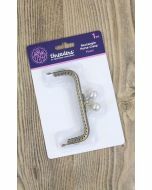 All you need to complete your purse is a matching purse clasp, sewing machine or needle and thread. 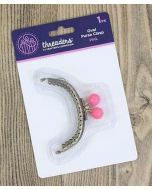 You will need a purse clasp 8cm in size.